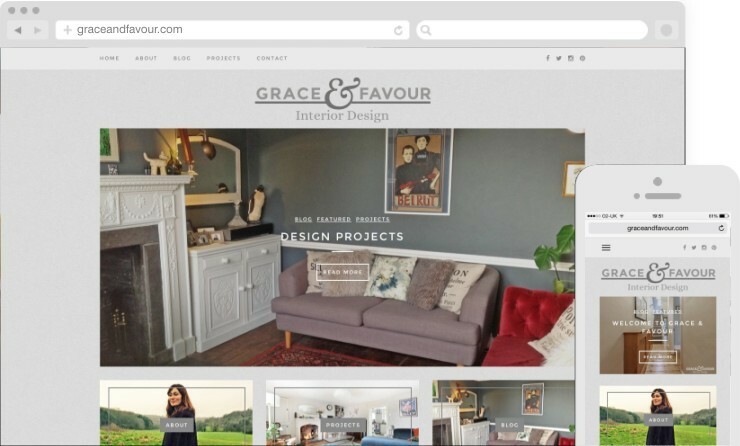 New interior design company Grace & Favour wanted a website to reflect the aesthetic of their decorating style and asked 286blue to create a full brand identity and website with blog to share posts about design projects, news and features. 286blue created a stylish website & brand identity in a palette of greys to allow the images of design projects to be the star. The logo references Early- and Mid-Century fonts to mirror elements of their style and, as Grace & Favour is a Farrow & Ball colour expert, 286blue applied a textured effect on the pages background to suggest a painted wall.